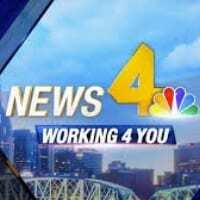 NASHVILLE, TN (WSMV) - Commuters across Middle Tennessee are jumping on a new trend during their ride to work by earning money to ride together. An app called Hytch Rewards is changing the way Nashvillians drive to and from work by putting money in their pockets.  Hytch Rewards pays you for every mile you drive with at least one other person. And, you don't have to be in your car. You can earn rewards for taking an Uber with a friend or riding the bus. The app was designed with the goal of getting cars off the road and conserving emissions. Several local businesses are sponsoring rides to and from work for at least 5 cents a mile. "It just seems logical that there's a million empty seats driving in Nashville every day. We have what I would call a micro mass transit system. Every time you're driving down the road and you're by yourself, you're moving, and if you think about it, you could be - just with a tiny bit more effort - you could be bringing someone to work or sharing a ride anywhere," said co-founder and CEO Mark Cleveland. At Lipscomb University, administrators have reserved half of the first floor of the parking garage for students who carpool using Hytch. Not only are students getting paid to drive to school with a friend, but they're also getting parking perks. After your ride is finished, the app will tell you how many rides you've taken, how far you've gone, how much you've earned and how many trees you've saved. Cleveland says one of the coolest things about the technology is that it's building communities. People who have never spoken to each other on transit systems have now exchanged phone numbers so they can use Hytch in big groups on their commute. News4 asked Cleveland about the transit plan that recently failed to pass in Nashville and what was missing. "What was missing? I can't emphasize enough - incentives is what's missing. If you want to increase ridership, you need to think about incentives. Just imagine an airline program that doesn't have a frequent flyer reward program. There are none," Cleveland said. Since February, more than 1 million miles have been driven around Middle Tennessee using Hytch. This is about 90 days at an average of 25,000 carpooled miles per day.